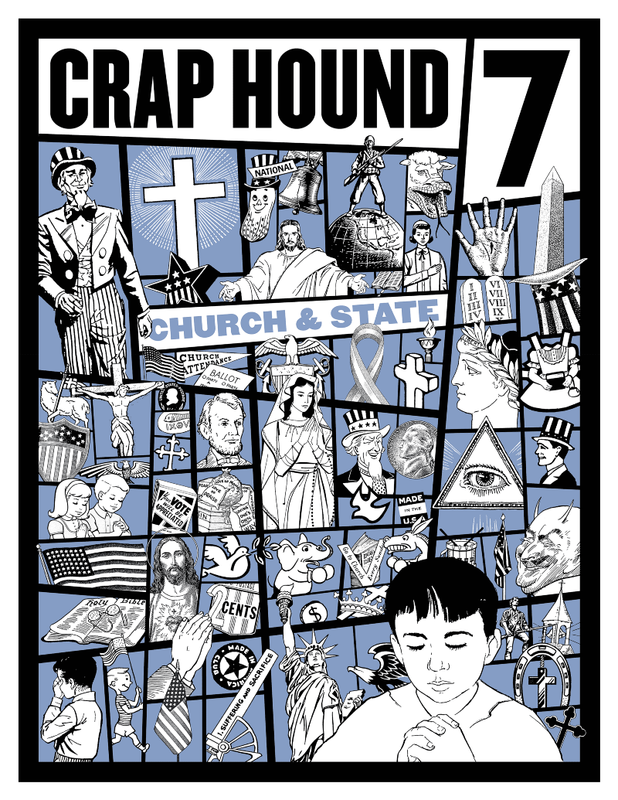 Established in 1994, Crap Hound is the seminal mixture of social commentary and somewhat overindulgent graphic design zine edited and designed by Sean Tejaratchi. Sean is more recently known for his excellent work creating LiarTownUSA. 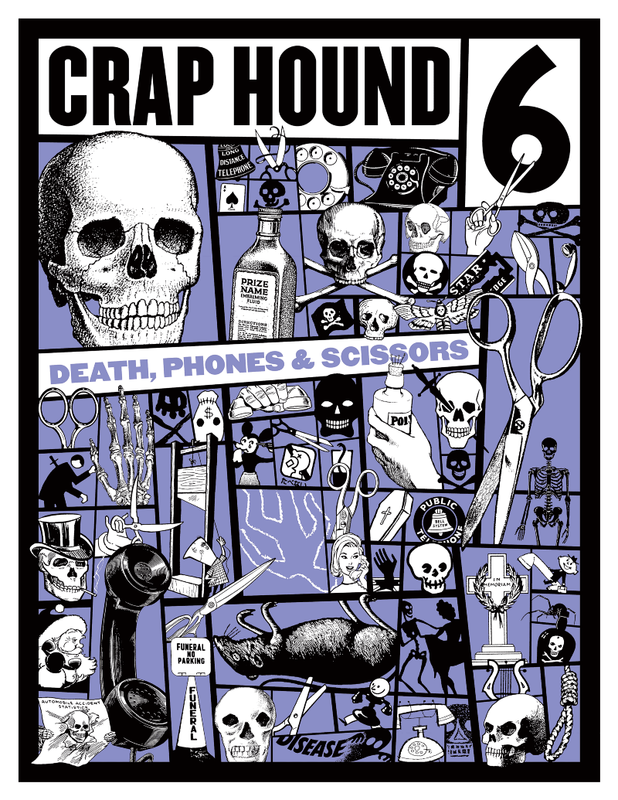 Between a brief introduction and the end credits, Crap Hound is pure imagery. Each page is filled with high-contrast art, carefully taken from vintage catalogs, advertising, obscure books, and found ephemera. Laid out as they are by Sean’s expert hand, each issue creates an amazing story around different themes. 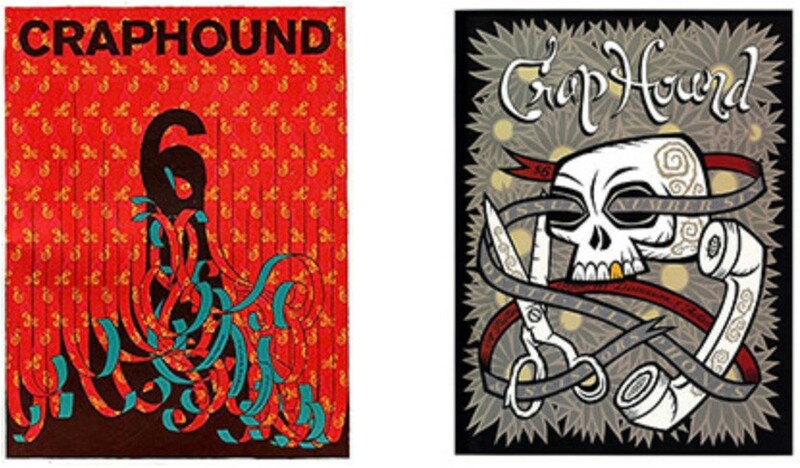 They show how we see, describe and interact with the world through historical artifacts of advertising and illustration. We learn about what we value and where we’re from when we study the past. Infinitely re-readable, you’ll discover something new everytime you open one. They’re published by indie stalwarts buyolympia.com, who’ve worked closely with Sean to make sure they adhere to and fufill his original vision. Wait a second, if they’re all back in stock, how come they start at #4? The current 4–9 represent all the previously printer materials in new, collected volumes. This is the original number four, enhanced and updated two times. This is the original number five, enhanced and updated four different times. Sean took his first issue, gave it a new cover and added a ton of new pages. 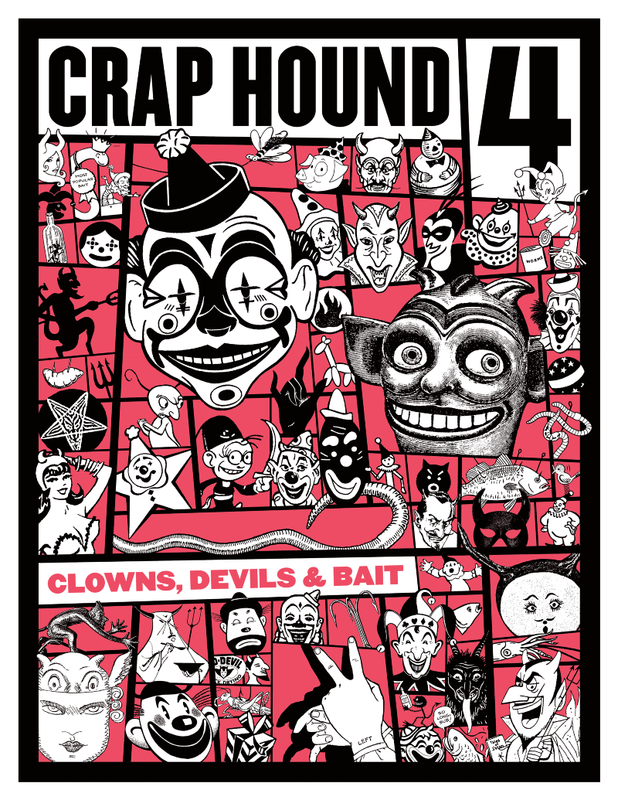 This is the original seventh issue, enhanced and updated. This is the original eighth issue, enhanced and updated two different times. The second and third issues weren’t that big, so they were combined, re-edited and added to, making a brand new number 9. It was completely re-thought, and tightened up. This is a lot of people’s favorite issue for good reason. The second and third issues weren’t that big, so they were combined, re-edited and added to, making a brand new number 9. This is a lot of folks’ favorite issue for good reason. It’s stunning. Released in December 2017. 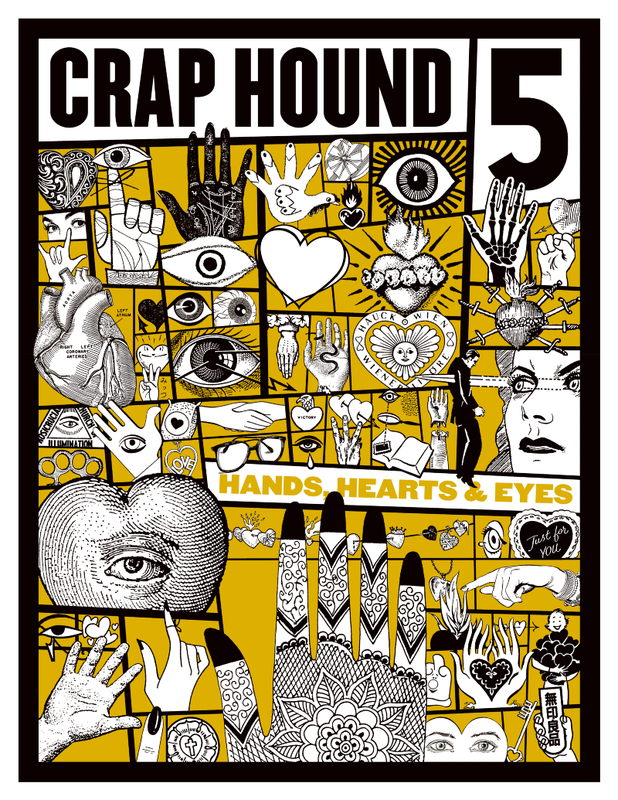 10: For the next issue, Crap Hound takes the leap from triple-stapled zine to hard-cover book. 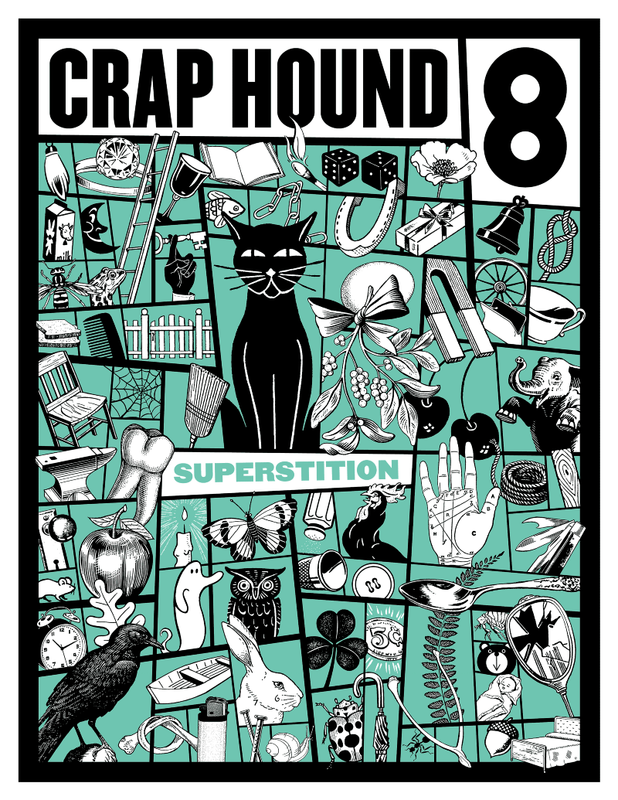 The Crap Hound Big Book of Unhappiness will be published by Feral House press in the fall. 1, 2, 3 — Became 6 and 9. 4’s original clown cover and two different covers for 5. Two earlier covers for #6.